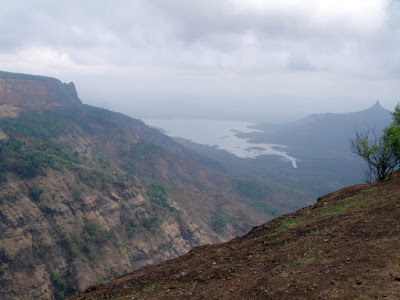 As part of our Monsoon trip in July 2011, we visited Matheran which is located at a distance of approx 100 km from Mumbai. It is the only town in India where motor vehicles are not allowed and it is 100% pollution free. One can enjoy the beauty of the Matheran more in the monsoon, which is covered by misty clouds on the top and green valleys in the bottom. One can reach Matheran by passing through Neral (Mumbai: 97 km, Pune: 73km), from there you can hire a shared taxi or by toy train. Toy train from Neral - Matheran is a worth traveling and takes almost 2 hrs for just 12 km passing through many beautiful view points of matheran. The name Matheran means either "forest on top" or "mother forest". Matheran is an Eco-sensitive region, declared by the Ministry of Environment and Forest, Government of India. It is one of the few places in the world where vehicles are not allowed, which makes the place different from others. Matheran takes you over a hundred years back in time when there were no vehicles. Because of vehicles being banned in Matheran, the place is quite peaceful despite the thousands of visitors coming to visit throughout the year. Matheran experiences quite refreshing weather through out the year. Baring the July - September rainy season [Average annual rainfall of 524 cm] climate never prove harsh. Matheran can be ideal for visiting through out the year excluding rainy season but November-February and April-June months are considered as the peak tourist season. Even though there will be some risk involved in traveling to Matheran in monsoon, but the beauty of Matheran will be many times better than any other season. Please spare some 2-3 days time for visiting Matheran and that too preferably in week days. Matheran hotels and eating joints offers multi-cuisine menu to make dinning at Matheran a wonderful and delicious travel experience. Don't forget to have Chikki , local made sweet of gram flour, jaggery and cashew nut. In the Matheran market visitors finds cane and leather articles, hats, Kolhapuri chappals etc to buy and take home back as the tour souvenir. Getting to Matheran from Mumbai is not very difficult even if you do not have train reservations. Get to Mumbai CST station. The local train you need will arrive either on platform 3, 4 , 5, 6 or 7. And the platform number will appear next to the code. Some Early morning trains from CST to Neral. Make sure you get off at neral. CST TO Neral is about a 1 hour 40 minute journey. Stations on the final approach to Neral are Badlapur, Vangani, Shelu and 5 minutes later NERAL. You can also get to these trains form the following stations: DADAR, KURLA, GHATKOPAR, THANE, KALYAN, DOMBIVILI, AMBERNATH, SHELU. At Neral use the foot over bridge and get to the other platform. Inquire about the toy train and whether tickets will be available. If not… walk out of the station and turn right. This will lead you to the Neral Matheran taxi stand. The taxi will not leave unless there are a minimum of 5 persons paying 50 rupees each. If you are in a hurry or there is no one else you can pay Rs. 60 x 5 = Rs 300 and take the full taxi. If you are of a mind that a ride in the Matheran toy train is a must then make sure you have booked in advance. Note :- Neral - Matheran Toy train will not operate in Monsoon( from June 15 - Oct 15). We can book Toy Train tickets in advance through irctc.co.in . If you are traveling from Mumbai or Pune by road, then you have to park your vehicle in Dasturi naka (around 3km from Matheran and 12 km from Neral). The approx distance will be around 3 km, so if you interested in doing some trekking in the forest, better opt for going by foot. Above prices are approximate and it is common practice to bargain for a better rate. For a package trip to 5 or 7 points Rs 150 to Rs 250. Please fix the rate in advance and specify whether it is per hour or per package. Please wear a pair of trousers while riding. Shorts or a skirt will result in a painful case of totally bruised thighs. Try not to go horseback riding for more than a couple of hours a day. More than this and you will probably regret it the next day. Alexander Point: It is a famous point located 1 km towards the north of the place. This point provides splendid views of the Garbut Point, the Chowk valley and the Ulhas River, and is a favorite among the sightseers. King George Point: During the monsoons, water from the nearby Charlotte Lake overflows and forms various waterfalls around the place. This is the point that beautifully captures these waterfalls and hence is a popular pont during the season of showers. 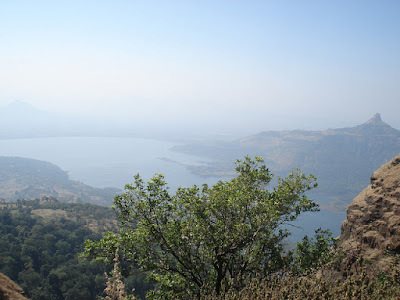 Louisa Point: Situated on west side of Matheran. This is a crucial point that offers a panoramic view of the whole place. As the name suggests, Echo point is well-known for allowing you to enjoy your echoes. This has made the place very popular amongst locals as well as tourists. The famous "Lion's Head" (a rock resembling a lion's head) is located close to it. Mount Berry: It is one of the must Matheran place to visit that is 5 km away from it and offers a bird’s eye view of Neral a popular spot in the hills. Panorama point: As the name suggests, this can be called as “king” of the points. 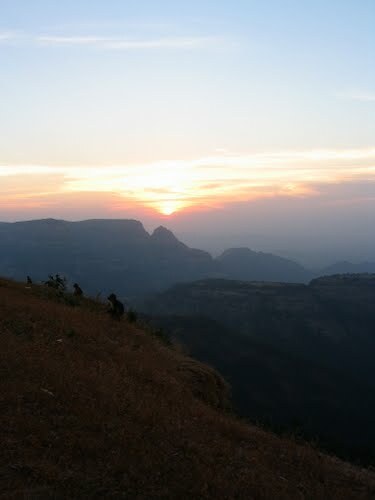 Situated at Matheran end, it has valleys on east and west side. On eastern side, one can see Neral down below while one can have a glimpse of Panvel and Gadeshwer Lake from west. Sunrise can also be seen from this point. Heart Point: Here one can see a beautiful scene of the valley and this point looks like heart, so it is named so. 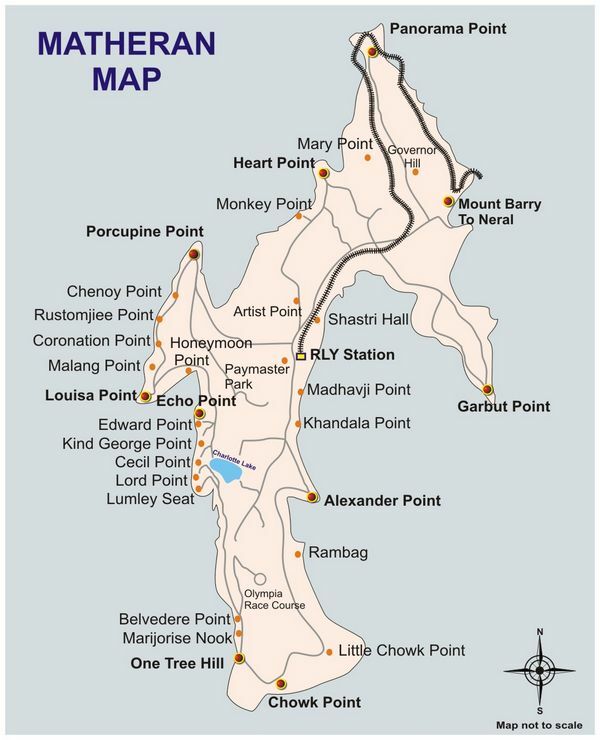 Monkey Point: It is a well-known point, famous for the large number of mischievous monkeys that throng the place. The point also offers a mesmerizing view of the verdant plains below. Sunset Point(Porcupine point): The mountain “Prabalged” is just in front of this point. Located at a distance of 4 km from the main market, this point is famous for its views of the setting sun. This point offer views of a dark forest below. Malet Spring : At a distance of about ½ Km from the Post office, lies this beautiful natural spring. Scenic and picturesque setting of the lake is bound to attract anyone. Like us, every one will stare at the beauty of Matheran. Way cool some valid points! I appreciate you making this article available; the rest of the site is also high quality. Have a fun. very nice and useful description of Matheran. Its fantastic to read something on matheran hotels.excellent pictures with description. 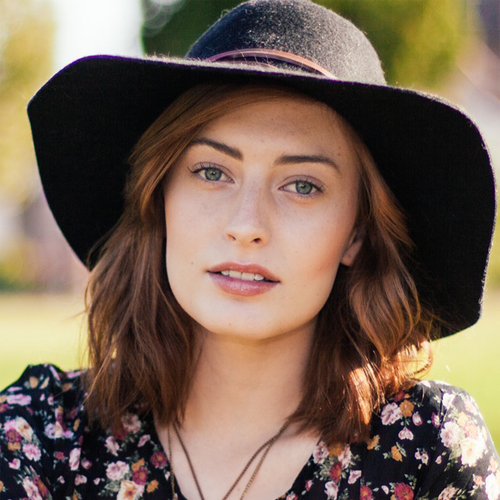 i like to read your blog.thanks for sharing. Though I wonder if things are same in terms of the fare or have changed now , nearing 2015..